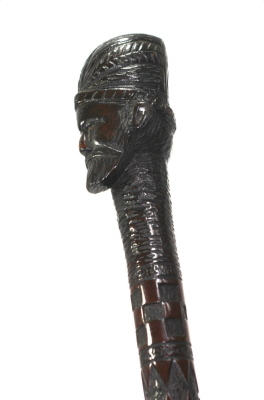 This is a superb one length 19th Century folk art cane. 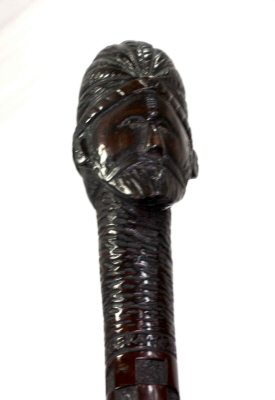 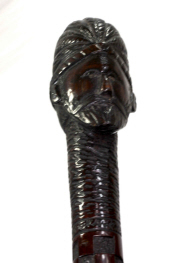 The hardwood pommel carved as a bearded man with feathered turban.The shaft of the cane holding carving of squares and lozenges. 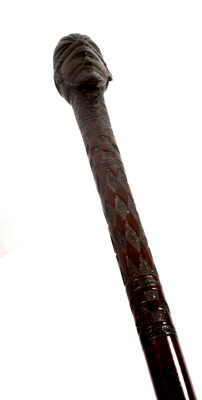 Base of cane holding a small ring collar ferrule.